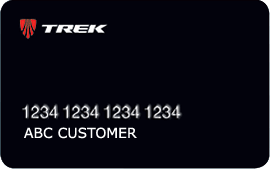 Our best warranty and loyalty program, Trek Care, is included with your Trek bike..
Every new Trek bicycle comes with our industry’s best warranty and loyalty program — Trek Care. It’s so easy. Simply register your bike and you are automatically backed by a network of authorized retailers you can trust to skillfully assemble and service your new Trek bike. 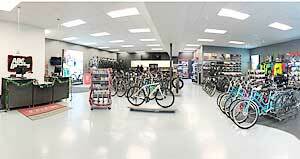 All bicycles purchased from our stores come with 6 months of free service. All adjustments (excluding flat repair) are covered to ensure that your bicycle is riding as great as the day you purchased it. 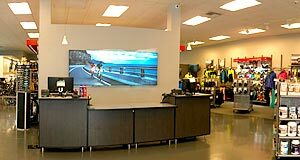 We recommend that you bring your bicycle to either store for a free Tune-Up at the one, three, and sixth month interval. New bicycles do need to be readjusted and tightened after 30 days of riding. Sometimes accidents happen and you may need to replace a non-warranty damaged frame or part. The Trek Care Loyalty Program lets you get a discount on a replacement frame or component in the case of non-warranty damage. Other terms and conditions apply. All warranty services are free and apply only to the original owner. Sometimes accidents happen and you may need to replace a non-warranty damaged frame or part. That's why we made the Trek Care Loyalty Program. We know how much you love your Trek bike and understand the burden of having to replace a non-warranty damaged bike frame or part. This program can be used to obtain a discount on a replacement frame or component in the case of non-warranty damage. Contact your local authorized dealer for details.